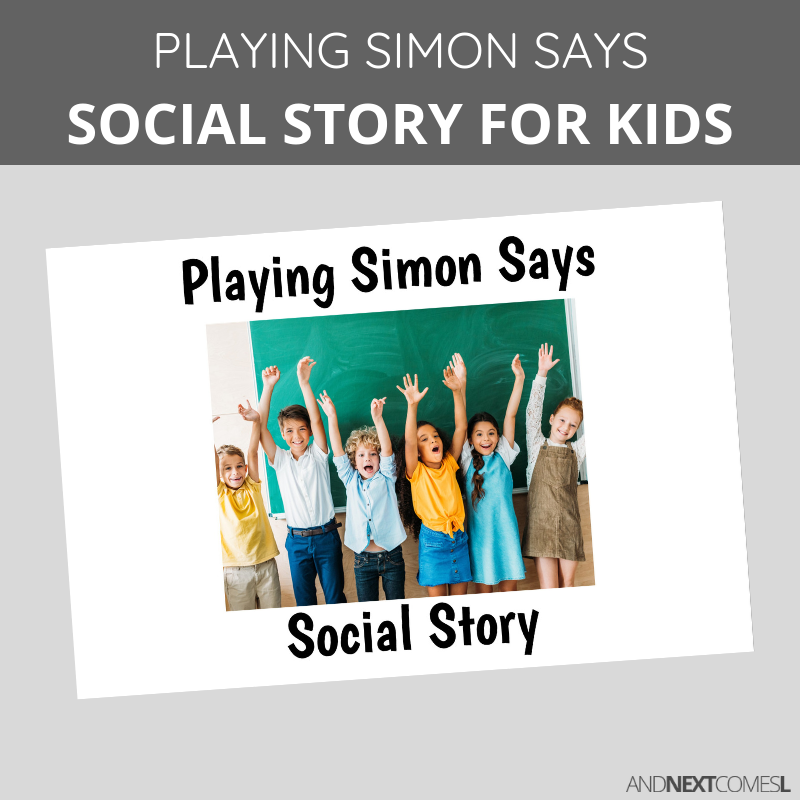 A printable social story for kids about how to play Simon Says! This 10 page social story teaches kids how to play the childhood game of Simon Says. Things you can pick to give as an action when are "Simon"